1. Newcastle upon Tyne. Five hours to get there on a slow train. It’s the coldest place I’ve ever been. Icy wind whips off the North Sea across the Tyne and the five bridges. Nevertheless the lasses all have skirts up to their bums and the lads walk around with no tops on. They all drink Newcastle Brown Ale, a beverage to blow your hat off. Mercifully the natives are friendly though you can’t understand a word they say. Lose the match 0-3. Five hours home on the slow train. A day of my life I’ll never get back and I’m not going to risk another. 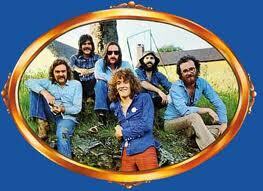 Best thing to come out of Newcastle – Folk/rock band Lindisfarne. 2. Sheldon (Birmingham), Warwickshire. OK this one pains me as I lived there for more than 20 years. It sits astride the old London – Birmingham coaching road and used to have a little character. Now it is cheap and depressed. Where once there were butchers and bakers there are Aldis and Tescos. Warehouses have sprung up purveying cheap carpets, furniture and DIY supplies. You risk your life crossing the main highway either by dodging the speeding traffic or the lowlifes (real or imaginary) in the subways. Pound shops, bargain rails, sales, booze at wholesale prices. The inhabitants shuffle to and fro hopelessly. The only café shuts just after 2pm. The nearby housing is 1930s and uniformly depressing. The pubs are community barns with food, quiz nights and not a single drop of drinkable ale. Sadly the foregoing is true of so many dormitories of English cities. The inner cities retain life and purpose with their multi-ethnic communities but the satellite districts are dead in the water. Best thing in Sheldon – La Caverna, a restaurant that has shouted quality for 40 years or more amidst the mediocrity. …I can spend my days and nights in the only redeeming feature, the magnificent Triangle Tavern, wholly at odds with the rest of the town. 4. Coventry, Warwickshire. OK it wasn’t the city’s fault that the Luftwaffe bombed the place flat in November 1940. And I confess to having avoided the place for years. But what I recall was an utter mess of traffic-clogged city streets with few redeeming features. ‘Getting sent to Coventry’ was what used to happen to misbehaving monks and it must have been the ultimate deterrent to temptation. Best thing in Coventry – the outer walls and spire of the old cathedral that defied Hitler’s finest. 5. London (all of it). We Brummies have a chip on our shoulder when it comes to London, as Corkonians have with Dublin. There it sits, the capital of England, refusing to acknowledge that anywhere else exists. A sparrow can fart in Shoreditch and the ‘national’ Press will write about it. Yet if Lowestoft were to be carried off by aliens (yes please) it would not rate a mention. Everything is self-importance and bustle. Must go somewhere, must do something. The poor tourists are fleeced of their money and hurried through Madame Tussauds, then the Tower of London with its wingless ravens without whom the Crown and England will fall. It’s nasty and cheap, somewhere to pass through on the way to somewhere else. Its too big, too busy, too threatening. Don’t like it. The best thing to come out of London? The road leading to Birmingham. Another great post, Roy. I’m happy to take your word for it on #1-4. And I can understand what you’re saying about London; all Canadians outside Toronto say the same things about it (not that I’m trying to compare the rich history of London with Toronto). Within their own realms, they both consider themselves the centre of the universe; everywhere else is “the regions”. Easy to hate. BUT, having lived there for two years in the late 60s, with me in my early 20s, working behind Selfridge’s at Wigmore and Duke, across from the Beatles’ office, you would not be able to give up my love for London! Too many fond memories. Thank you Jane. And of course I’m not the final authority on the matter 🙂 Quite prepared to concede that others may have a point…possibly. I like your London stance. I’m one of Europe’s biggest fans, and could easily travel to various corners over and over again. But, I’ve never had any yen for London. I’ve heard how outrageously expensive it is, and I prefer my cheap date cities personally. Now, come on. When you’re tired of London, you’re tired of life. I have to stand up for our wonderful capital city – if I could be a tourist here, I would. So many green spaces, so many opportunities for culture – the ballet, the opera, theatre and the arts. I could go on and mention the shopping, both couture and Carnaby Street or the Kings Road. And then there are the football teams, the pubs…. Yes, I got a bite 🙂 Thank you Jenny and I’m sure you didn’t take me entirely seriously. I loved wrapping up the huge Greater London area in one big myopic generalisation. I’m prepared to concede that there may be some good bits and you have pointed out a few. I’ll cheerily keep the chip on my shoulder for now though. Not completely seriously, no – and , I can sympathise with the points you made too, so please don’t think I’m a blinkered Londoner – I’m actually a country girl born and bred! Father, I live in Newcastle… Best city in England! Ha ha! Hi there. Good, we have a Newcastle defender now as well as Jenny going into bat for London. I freely admit my critique was after a single day visit and my knowledge of the bridges from the 1969 Nice album 🙂 For your next trick, name all the bridges across the Liffey. It’s the definitive guide Dianne, deeply researched and objective. London: Holland Park, Borough Market, Hampstead Heath, Camden Market, Spitalfields, the best free museums in the world, quick underground transport, and people who have other things to talk about than football. 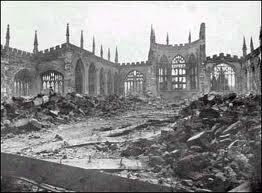 Coventry: 800 people died in Coventry’s blitz. 25,000 died in Dresden’s. And I’d guess that Dresden is quite a bit more pleasant than Coventry… ? Lowestoft: Marion Larkin wants to retire there. Sheldon: you’ve deliberately overlooked the country park! And the subways are being filled in. However, to be fair, you’ve not mentioned the Radleys, which is rather less welcoming than Mogadishu on a bad day. Dresden, no idea but I guess so. Has she actually been there?